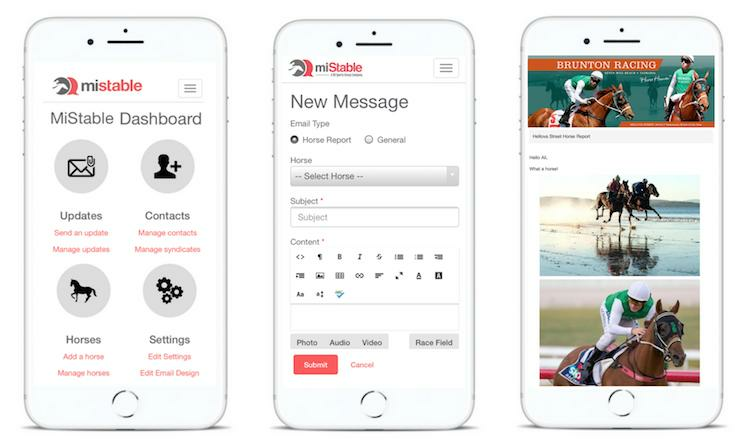 Listening to our trainers, we have now launched the ability to send multiple images in a horse report. We are very happy to offer you this great functionality and there is more to come! 1. Login to your miStable Dashboard from your mobile device or PC. 2. Click Send An Update and New Message. 3. Email Type must be a Horse Report. 4. Give your message a Subject and some Content. 5. Click Photo and from your Phone Library or Computer select the images you wish to attach. 6. Watch your photos upload and once complete, you are ready to click SEND. NB: Multiple image functionality will be coming to the miStable app shortly.